When it comes to choosing the best pool shock, you have quite a variety to choose from. There is no single-best shock for all swimming pools, but based on your pool’s characteristics, you can determine the perfect choice for you. Maybe you might be wondering “which one should I buy” or “what is the difference”. Reading this complete guide will help you figure out which is the ideal type of shock for your pool. 9.1 Why do I need to use the best pool shock? 9.2 Should I use chlorine or non-chlorine shock to shock my pool? 9.3 What is the difference between shock and chlorine? 9.4 Do I need to use chlorine and shock? 9.5 How often should I shock my pool? 9.6 Where can I get the best pool shock? 9.7 What is the shelf life of a pool shock? 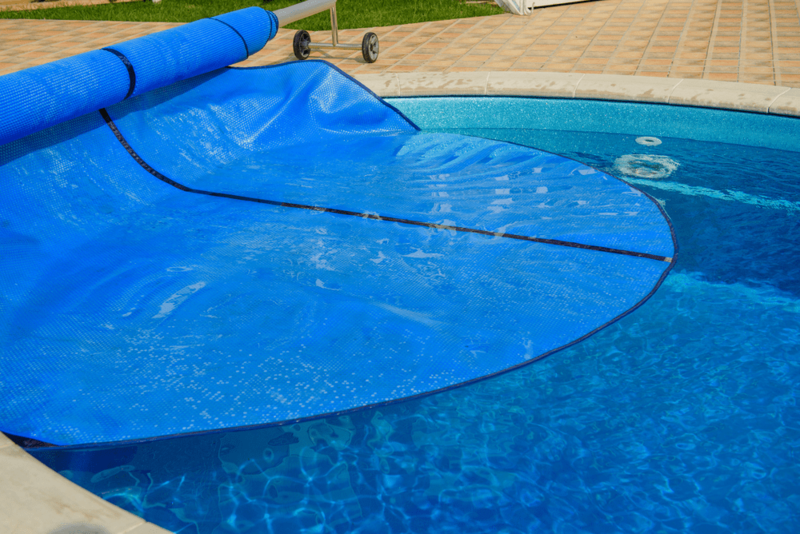 Three different types of pool shock are available on the market. They are potassium mono persulfate, sodium di-chlor, and calcium hypochlorite. There are 2 ways that you can get them; in a granular form (powdered shock) or liquid form. Calcium Hypochlorite is the most popular kind of shock that is used and the strongest of the three. It dissolves easily, and the sun’s rays burn it without changing the cyanuric acid level of your swimming pool. It raises the pH level of your pool when you add it, and you should only add it in the evening and then use your pool when the chlorine level has normalized. Sodium Di-Chlor dissolves quite slowly and is a powdered-chlorine. It lasts longer in your pool than calcium hypochlorite and comes with a stabilizer that boosts the cyanuric acid level in your swimming pool. You can use this product as either a maintenance chlorine or a shock treatment and it raises the pH level when added to your pool. 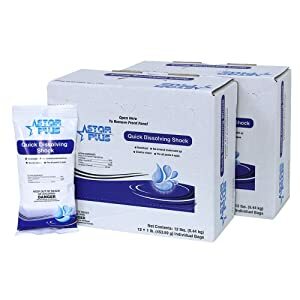 You should use this product in the evening and only use your pool after the chlorine level has gone down (after 30 minutes). Potassium Mono Persulfate is a product that is based on oxygen, with no chlorine. It is used to oxidize a swimming pool, remove all contaminants, and helps the chlorine to work better. You can add this shock any time of the day and even use your pool immediately. It doesn’t change the cyanuric acid in your pool. The kind of pool shock that you require depends on the composition or chemistry of the water in your pool and the reason for shocking. For weekly maintenance (clean water) – Any of three is perfect. For water that looks green – Use Calcium Hypochlorite. For bromine sanitized pools – Use Potassium Mono Persulfate. For weekly maintenance or before heavy use – Use Potassium Mono Persulfate. For vinyl pools – Use Potassium Mono Persulfate. 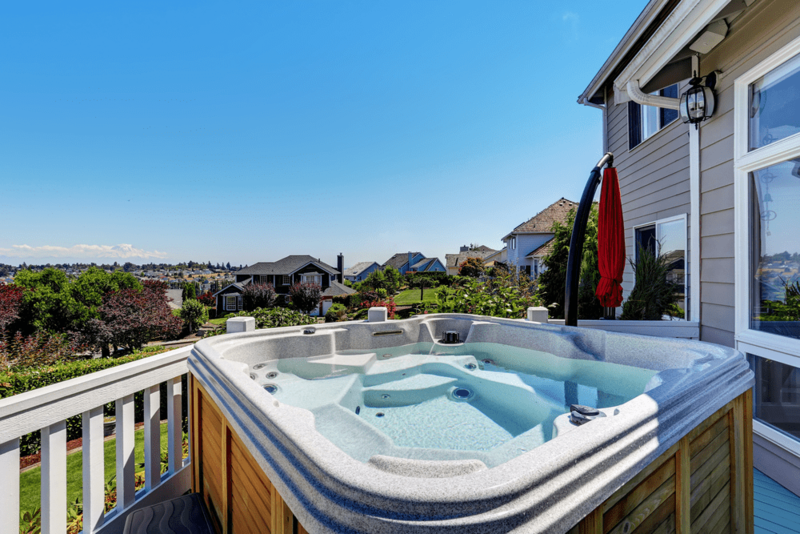 For fiberglass pools – Any of the three is perfect. For concrete pools – Any of the three is perfect. You can save a few dollars by buying the best pool shock in bulk, but ensure that you don’t buy what you will not use. The shelf life of these products is about one year, and if your shock is expired, its effectiveness will decline, leaving you with a pool with weak chlorine level. You should purchase new pool shock yearly. To determine how much product you will require for a whole year, you need to know a few things. Know the size of your swimming pool – bigger pools will require more shock compared to smaller ones. Know the condition of your swimming pool – if it turns green regularly or has been green for a while, you will require more shock. You will also require more shock if your pool has a safety mesh cover as opposed to a pool cover. 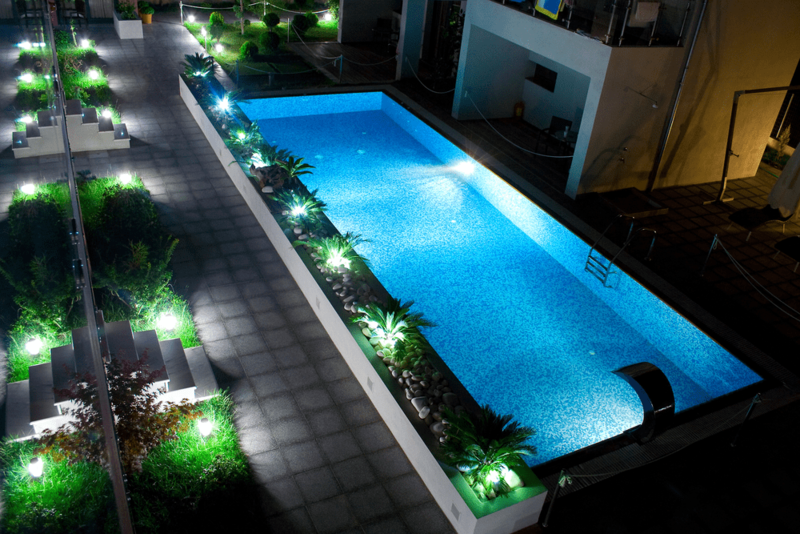 Know how often your pool will be used – the more regularly your swimming pool is used the more shock you will require. When buying your pool shock you should always look on the label to find out what it’s made from. You should do this with both liquid and powdered pool shocks. There are at least two things that you will be looking for: active and inactive elements that make up the product. 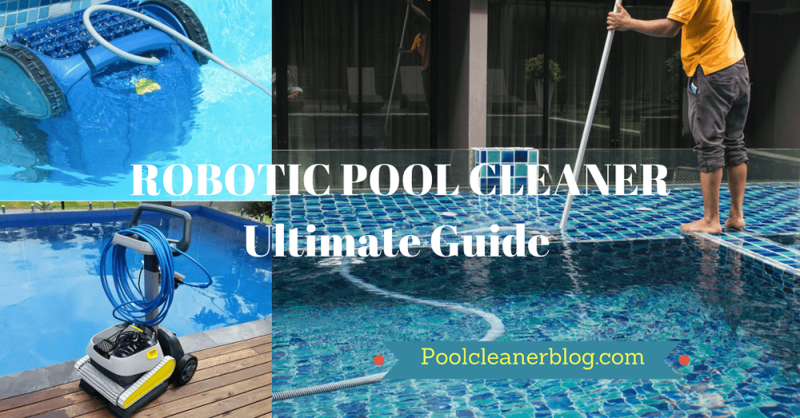 You should go for a product that has lots of active chlorine. Don’t go for colorful labels and packages that have lots of inactive elements when purchasing your swimming pool shock. Always be alert to see what the product is really made from. If you intend to buy your pool shock online, go to the specification page in order to make an informed decision. When buying a powdered or liquid pool shock for your pool you will want to ensure that the product will not affect your swimming pool liner. With the liquid product, there is almost a zero chance that you will damage your pool when pouring the product. With a powdered product, there is a chance that you might damage your pool when adding it to your pool. Powdered shocks are designed for vinyl liner and gunite swimming pools. When buying them ensure that they are safe for use in these types of pool. If you have a cement pool, you will not need to worry about adding powdered shock directly to your swimming pool. However, you might end up with bunches of shock in spots – you can easily remove these spots using a brush. We would recommend you to always pre-mix the shock before you add to your pool or use the re-circulate option for the perfect result. Pools are shocked to break combined chlorine compounds or chloramines from the water. You can also shock your pool to get rid of bacteria and excess bather waste after heavy swimming pool use, removal of visible algae, or contamination events. Bromine treated spas and pools are also shocked in order to reactive bromide ions in the pool. Other times you need to shock your pool is after a heavy rainfall, during start-up and close-down of your facility, or in situations where chlorine level has decreased. 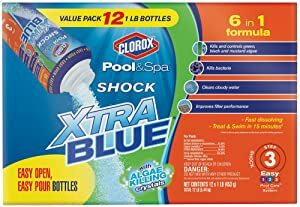 The Clorox Pool and Spa Shock Xtra Blue is a powerful product that has a lot of extras included. As opposed to being in a bag, this shock comes in an easy to open and pour bottle that makes it easier to use it than having to tear a bag and then trying to pour into a container. The shock comes with crystals that kill the blue algae and it also kills mustard algae, green algae, and black algae. In addition, Clorox helps to prevent the development of these algae in your swimming pool. This 12-pound of swimming pool shock makes your pool to look clearer. The best part, it works without bleaching your pool, and hence the best pool shock for vinyl liners. Kills and prevent mustard, green, blue, and black algae. Crystals that kill blue algae. Comes in an easy to open and pour bottle. The In The Swim Chlorine-Free Pool Swimming Pool Shock has an active element called potassium mono persulfate that make up about 50 percent of the product. The product comes in 24 single pound bags at an affordable price. It removes the development of algae as well as other dangerous bacteria in your swimming pool. It works pretty well in a pool that has been sanitized with bromine. This shock eliminates dead chlorine cells offering a higher chlorine-free reading. It is a great product for regular shocking of your swimming pool. It also improves the health of your swimming pool water and makes it crystal clear. Eliminates growth of bacteria and algae. Need pools with a high level of chlorine. 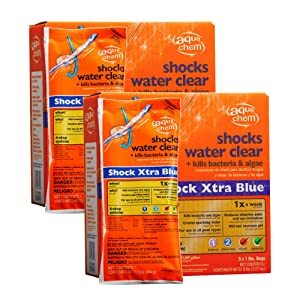 Aqua Chem Shock Xtra Blue for Swimming Pools comes in a five-pack of a pound bags for quite an affordable price, making it another great product for the money. This shock kills both algae and bacteria in your swimming pool and also helps to keep your pool water sparkling. The best feature of this shock is that it’s suitable for all pools. The shock eliminates the smell of chlorine and even reduces irritation caused by the body and eye. It doesn’t improve the chlorine level in your pool but it allows you to use the pool as soon as you wish. 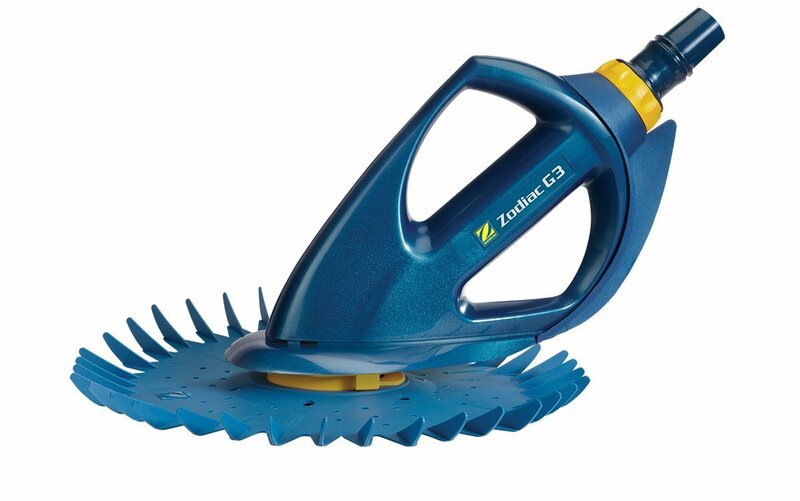 It helps to remove algae and bacteria quickly and comes with extra elements that aid to clear cloudy water. Suitable for all types of pool. If you are looking for a reliable, easy to use, and effective pool shock that offers value for money, look no more because In The Swim Chlorine Pool Swimming Pool Shock is here for you. The product comes with an active element known as potassium mono persulfate that makes up about 50 percent of the shock. 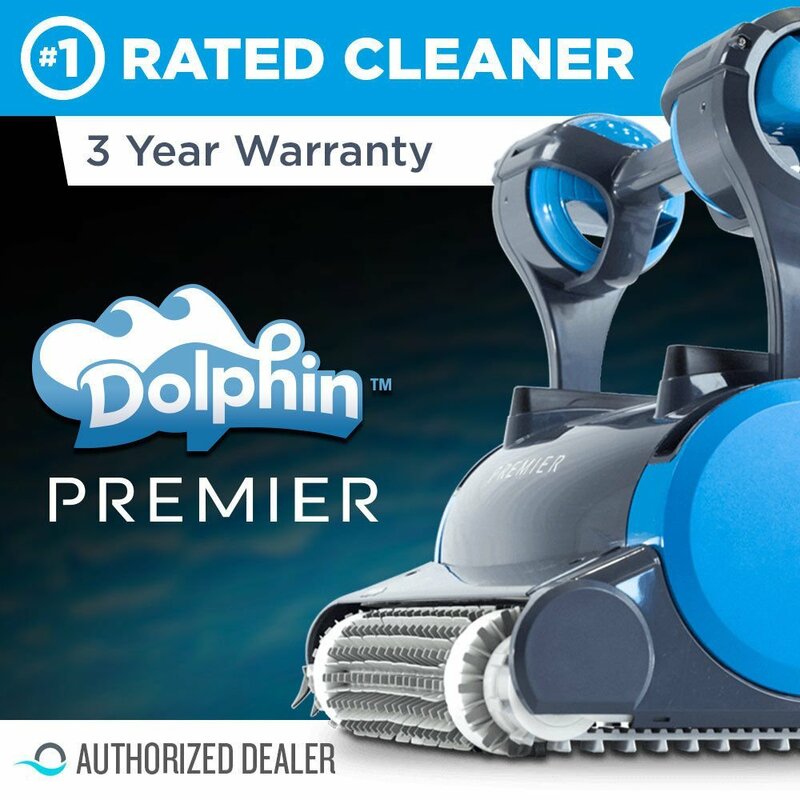 The tablet removes the development of algae and other harmful bacteria in your pool and works effectively on a pool that is well sanitized with bromine. 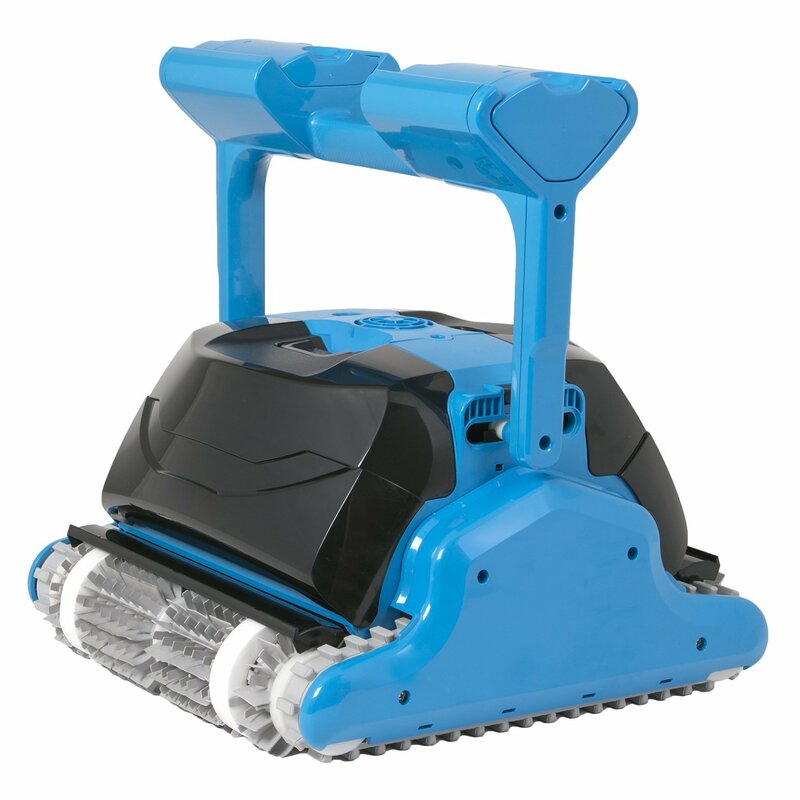 It also helps to eradicate dead chlorine cells, providing better free chlorine cleaning. The other great feature of this product is that it enhances the condition and health of the water in your pool. Best for pools sanitized with bromine. Eliminates the development of algae and bacteria. You can swim immediately after using it. Doesn’t enhance the level of chlorine. StarPlus Chlorinating Shock Treatment for Swimming Pools is perfect for all spas and swimming pools. This is a great stabilizing product for above ground pools that doesn’t lead to scale buildup. 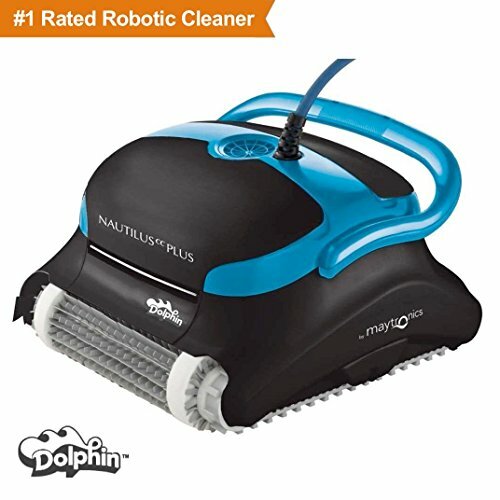 StarPlus is a Dichlor shock that doesn’t damage your pool surface, although it might leave some remains which you need to disperse using a brush. It kills algae and rids your facility of unwelcoming sights of algae spots. It is perfect for use in colored plaster, fiberglass, and vinyl-lined surface pools. What is amazing about this product is that it is pH neutral, hence cuts down on your cost as it will not affect your pool’s pH level. Kills algae and removes their spots. It does not matter whether you are a new or old pool owner, shocking your pool can seem a bit scary. That’s fine – dealing with these chemicals usually make people feel jittery. However, it gets much easier if you know the best way to shock a pool. Remember: Wait until the sun sets before you add your shock if you are using chlorinated swimming pool shock. Test your swimming pool water for TC and FC to determine how much CC is in your facility. This will determine the amount of shock you will need. Read the manufacturer’s guides on your product. The best pool shock will include steps or charts to help you determine how much product you will require. Add the pool shock to your bucket and carefully stir until it dissolves. Work in a single-pound increment (skip to step 7). Determine how many parts of pool shock you require. Add a bag at a time until you get the required amount. Carefully pour your pool shock while moving around your facility for a more even distribution. Wait to dive into your swimming pool depending on the manufacturer’s recommendation. Why do I need to use the best pool shock? Your swimming pool water always has some unwanted elements that contaminate it and lower the effectiveness of the sanitizer. Elements such as suntan oil, hair spray, perspiration, cosmetics, and other material react with chlorine in your pool to form combined chlorine. This mixture acts as a poor disinfectant, leading to skin and eye irritations as well as the formation of unpleasant odor. Regular pool shock treatment destroys combined chlorine elements and restores the right sanitizer and increase chlorine efficiency. Should I use chlorine or non-chlorine shock to shock my pool? Both treatments get the work done. However, chlorine-based shocks have some shortcomings. They can destroy swimsuits and liners and upset the water balance. Furthermore, you will need to wait for a day or two before you use your swimming pool again. Non-chlorine shocks use less chlorine and you can use your pool immediately. What is the difference between shock and chlorine? 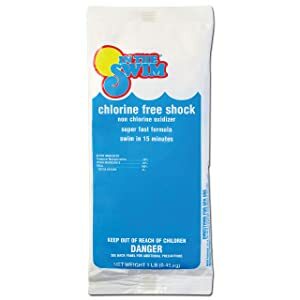 Shock is chlorine, at a concentrated level, meant to shock your swimming pool and boost its chlorine level faster. Chlorine is a sanitizer used to maintain your pool’s water healthy and clear. Do I need to use chlorine and shock? You don’t need to use both shock and chlorine. Without shock, your swimming pool chlorine level won’t get high enough for sanitizing the water; without chlorine tabs, the shock will disappear faster out of your pool. Many pool owners usually ask when is the best time to shock the pool. We would recommend shocking your facility weekly. However, you should shock it every 2 to 3 day if the weather is hot or it’s being used heavily. Where can I get the best pool shock? 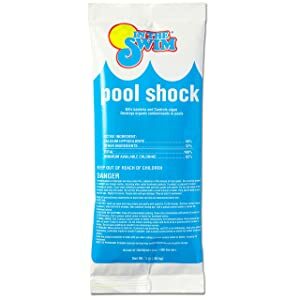 There is no specific place where you can buy your pool shock because it is sold in many stores – both online and physical stores. However, we would recommend you to purchase your product from your local pool supply center or from your swimming pool service provider firm. What is the shelf life of a pool shock? Powdered pool shocks will lose just a small percentage of power when stored in a dark, cool, and dry area. When stored in a garage or shed, however, the varying humidity and temperature will solidify the product and within a few years, it will deteriorate. The same case applies to the liquid shock and hence, you should ensure that you store your product well. 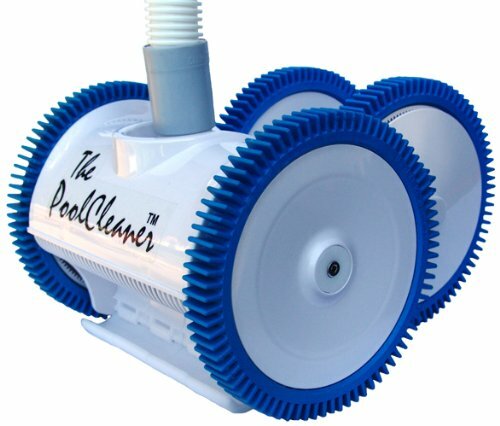 The best pool shock will get the work done within seconds and leave your swimming pool clear, clean, and free of algae. With that in mind, the Clorox Pool and Spa Shock Xtra Blue might be a perfect choice for your pool as it kills and prevents mustard, green, and black algae. It also comes with crystals that kill blue algae and is packed in an easy to open and pour bottle.